Welcome to the second Local Love post, where I interview my favorite Connecticut creators. Missed out on the first one? Go back and read my interview with Brittany Morgan, the sassy hand lettering latté and confetti addict behind Glitter & Bold. Every entrepreneur has a fellow entrepreneur (or a few) they aspire to be — someone who’s a little further along the path, who you look to for advice during those (frequent) moments of self-doubt. While I admire all of my fellow boss babes, Cinder + Salt‘s Rachel DeCavage is kind of my Fairy Bossmother. (She’s going to hate that.) Rachel and I met at a craft fair in 2011 and became fast friends, working together on lots of collaborations along the way. Rachel is confident and fearless when it comes to her business, Cinder + Salt (previously sugarplumUSA), her line of low-impact clothing, accessories, and housewares. You might’ve seen me wearing her Dreamcatcher Tank or remember my post about her #LikeABoss Collection. 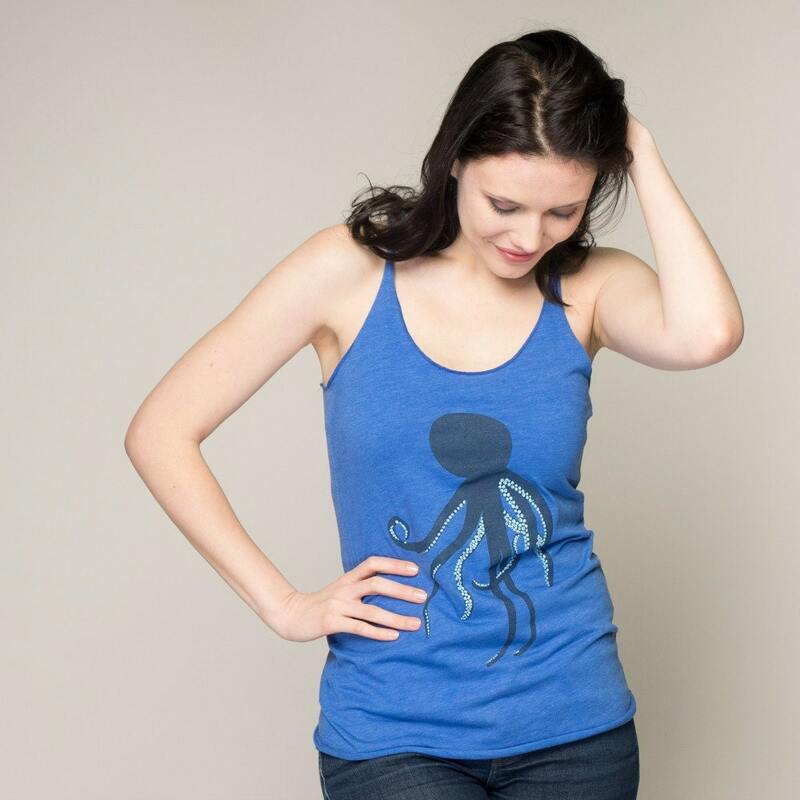 Her hand-drawn designs are uniquely hers, and each t-shirt, sweater, and necktie is screen printed by hand in her East Hartford studio. Cinder + Salt is inspired by the residue of a weekend well spent; the scent of campfire on your clothes and the taste of salt water on your skin. Sami: When did you start making? Rachel: I’ve always been someone who makes things… I get it from my grandma, I suppose, who taught my sisters and I how to hook rugs when we were like 3 years old. I was using a thread and needle before I knew how to write. Spending my life working with fibers, in many different formats, and growing up alongside my dad’s commercial printing business seems to have very neatly defined my career path. You guys know how much I love Rachel DeCavage, right? She’s become a great friend and is a truly inspiring and tireless (seriously, girl, when do you sleep?) entrepreneur. When I helped her out with a photo shoot a few weeks ago, I got a sneak peek at her latest Cinder + Salt collection, and now I’m so pumped to officially share #LIKEABOSS with you! The motivational prints and tees are just as much a rallying cry as they are encouragement, especially the stayin’ hungry stayin’ foolish design, inspired by the famous Steve Jobs quote. There are five new designs in total, each printed with reclaimed inks on racerback tanks, slouchy pullovers, tote bags, and as 11 x 14 prints. I want one of everything, especially the pink Go Getter slouchy pullover! Oh, and she’s even got a set of pencils, for everyday inspiration. Grab your favorites here before March 1st and get 15% off with code TAKECHARGE.